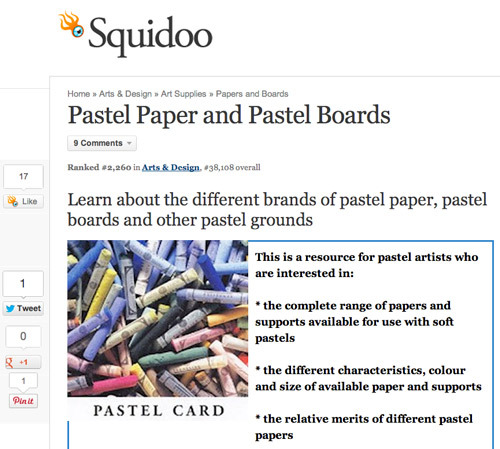 Two new sections have been added into my 'resources for artists' website dedicated to sharing information about Pastel Paper and Pastel Boards. Which is the best pastel ground? Pastel Grounds - creating your own support - looking at the process and materials required to create your own support. I'd really like to know if there is anybody out there who has produced their own recipe for their own approach which I've not yet found. However, if you know of any article or online website which provides information which would be useful to share with pastel artists please leave a comment below. 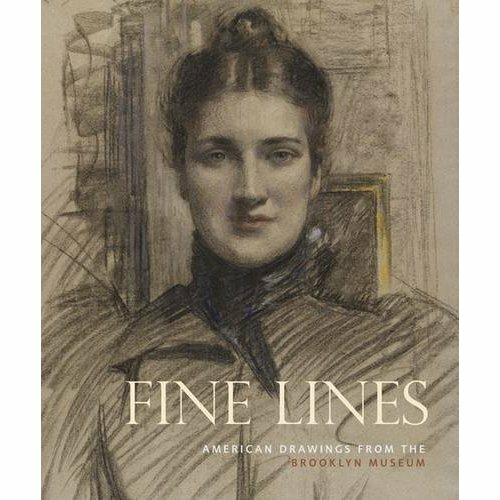 new editions of some historical books about drawing. Listings are on a month by month basis - as books are listed for publication (however note that its' not unusual for some of these dates to slip a month or two). 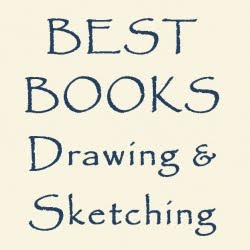 art instruction books about drawing and sketching - designed specifically for artists working in drawing media and those keeping sketchbooks / journals. I don't include every book published and to be frank my aim is to try and identify quality publications rather than more "same as same as" books and those which I regard as dumbed down. Although their target audience is students and practising designers, architects, planners, and landscape architects, I'm sure there's bound to be content of interest for anybody who is serious about drawing buildings or anything involving perspective. They've not got to the "see inside" stage as yet - but could be worth a bookmark for those who have an interest in these areas. Raphael: Drawings - based on the remarkable collection of Raphael's works in the collection of the Städel Museum in Frankfurt. 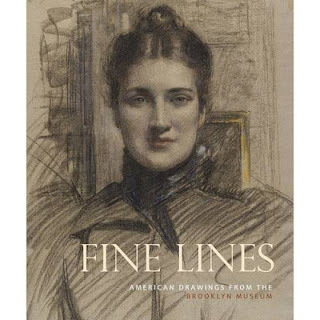 In 1967, Hopper's widow, Josephine Nivison Hopper, bequeathed her husband's artistic estate to the Whitney Museum of American Art, including a fascinating collection of more than 2,000 drawings spanning his entire career. This group of works has never been the subject of in-depth study and many have never been reproduced before. Hopper kept these drawings for personal reference as he revisited various themes throughout his career. 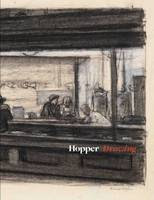 Carter E. Foster carefully examines how Hopper used his drawings to develop his paintings, arguing that the artist's work can only be fully understood after in-depth study of these preparatory sketches. Foster also argues that Hopper was, in many ways, a traditional draftsman who methodically developed schematic ideas into detailed studies to refine content. There's to be a revised second edition of the well regarded Vitamin D book - although I have to say Vitamin D2 doesn't have quite the same ring! 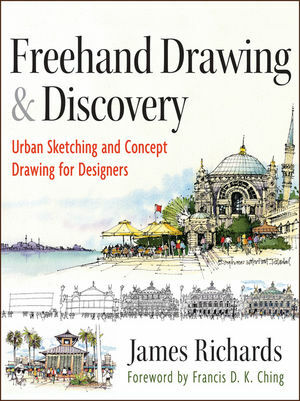 Vitamin D2: New Perspectives in Drawing will be published in May 2013 by Phaidon and will feature contemporary drawing by 115 artists from around the world. The publishers of the venerable art instructor have not finished - we have one more. Fun With A Pencil by: Andrew Loomis was first published in 1939 and is going to be republished in April 2013 by Titan Books. One of the challenges of drawing with coloured pencils is getting my kit organised. First I got my pencils into white painting tubs. Then I got an IKEA Lazy Susan so that I can access them easily - however it would be nice to have all my other drawing equipment as easily accessible and in one place. 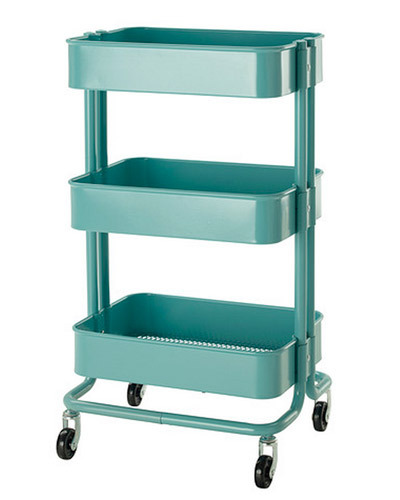 I've been thinking of getting a trolley - and spotted this one in the new IKEA catalogue. Price: It's priced in the UK at £50 - in the USA it's $49.99. I'm guessing VAT accounts for the rather wonky currency conversion. I'd be interested to hear from anybody who has bought one and/or anything similar which they'd like to recommend. I've added a new section into Which is the best brand of watercolour paint for artists? - my new "resources for artists" website. 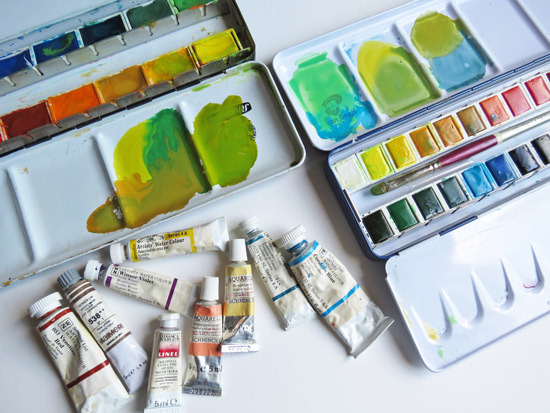 Watercolour paints - tubes and pans. If you have a preference one way or the other - or maybe like both - please vote in the Poll also on the blog - see POLL: Watercolour paints - Pans versus tubes? If you've written online about your preferences for pans versus tubes or have reviewed the different options please let me know and I'll add a link to your blog to the new website.